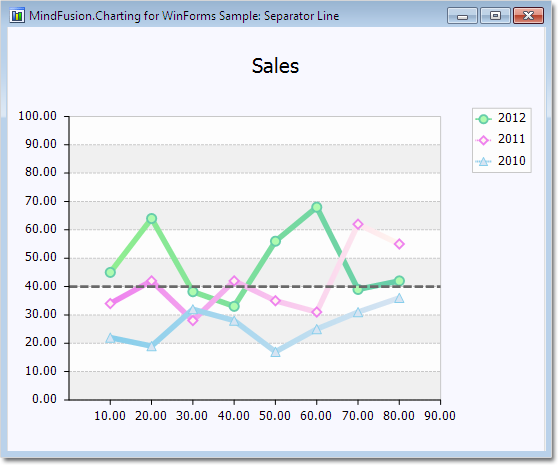 In today’s post we’ll show how to build a line chart with several line series and a separator line. The separator line is drawn at a given height and divides the chart into two halves. If you want to use data binding then set DataSource to the name of the data source, DataMember to specify the name of the table which will supply the data and XDataFields/YDataFields to provide the name(s) of the fields. 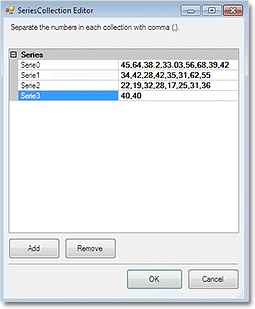 In this case we will require three data base columns for each of the three series – separate the names with a comma e.g. There are two ways to draw the separator line. smallest X-data value to the biggest one, parallel to the axes. The GridType is GridType.HorScale. We use GridBrush, AltGridBrush and GridPen to set the colors for the grid. 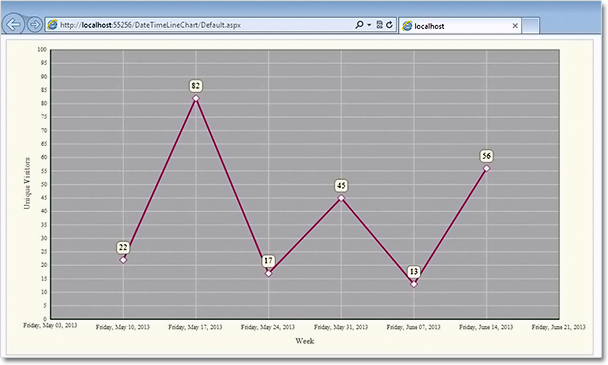 control knows changes have happened and the chart must be updated. 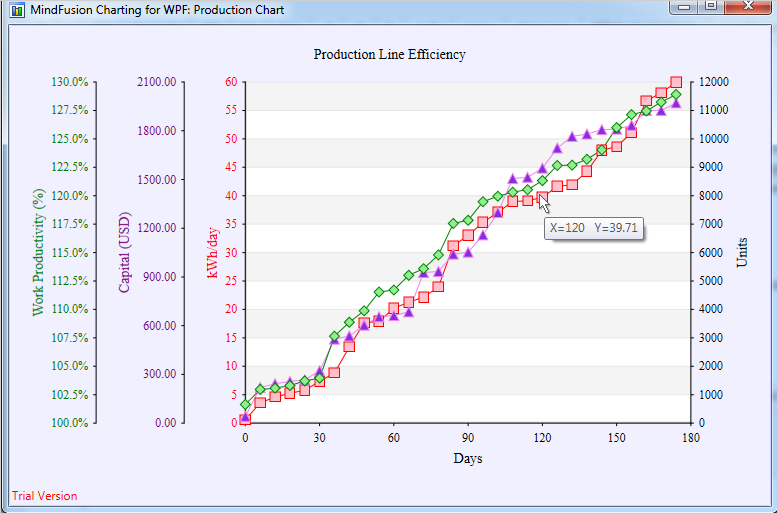 A line chart with a separator line.